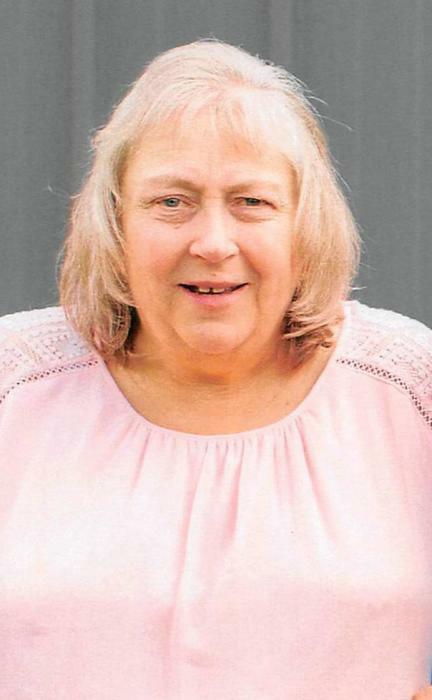 Sandra “Sandy” Sue Arnold, 61, of Coshocton passed away with her family by her side on Tuesday, September 4, 2018 at the Coshocton Regional Medical Center. She was born in Coshocton on March 26, 1957. Sandy worked in home health for many years before becoming a homemaker to stay at home with her two children. She is a member of the Burt Avenue Wesleyan Church. She loved sewing, cooking, doing puzzles, and spending time with her grandchildren. She is survived by her husband Dale Arnold, whom she married November 14, 1975; children Travis (Evan) Arnold and Melissa (Matthew) Mourer both of Coshocton; parents Floyd and Rose (Weidger) Hall; grandchildren Emily (Tyler) Mann, Carlos, Matthew, Alivia Mourer, Jaiden Arnold, Izabel Mourer, and Jakob Arnold; brother Bill Hall; sister Linda Green; and several nieces and nephews. Sandy is preceded in death by her niece, Michele O’Brien.